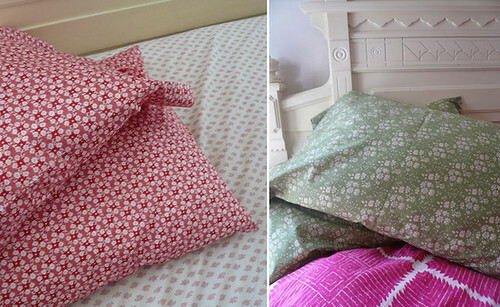 Loving these super pretty Liberty pillow cases available through Eliza Gran’s etsy shop for just $34/set. What kind of machine do you have Katy? Do you have a machine that does embroidery, as well? I would love to lay my head down on these. I just feel like they would make me sleep better. Or maybe that is just going to be my justification for buying them. Love the pillow cases AND the great price! Thanks for the tip,I'm heading over to esty right now.